Danelle received her Doctorate in Social Psychology with an emphasis in Sport Psychology at the University of Ottawa. Prior to that, she received a Masters of Human Kinetics in Sport Psychology from the University of Ottawa under the supervision of Terry Orlick, and a Bachelor of Science in Psychology and a Bachelor of Arts in French from the University of Washington where she competed on a track scholarship. Danelle's areas of interest and specialization include the development of self-determined motivation in athletes, coach-athlete communication, maintaining balance as an athlete, performing consistently under pressure, and self-awareness in the achievement of optimal performance. Danelle's experience includes several individual, team, and coach consultations over past seven years with long and short track speed skating, all cycling disciplines, biathlon, cross-country skiing, paralympic goal ball as well as other various individual athletes and teams. As an athlete Danelle competed at many different levels in soccer, volleyball and basketball throughout high school as well as in track and cross-country running throughout university. 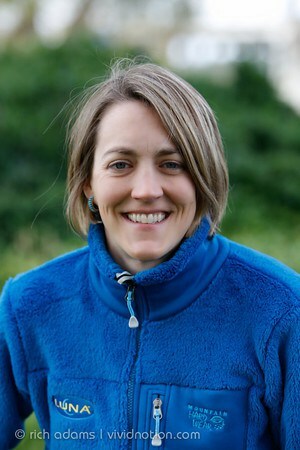 As a graduate student, she competed professionally in cross-country mountain biking and off-road triathlons, in which she recently finished 2nd at the 2006 & 2008 World Xterra Championships (off-road triathlon). Between breaks to have her two children, she continues to train and race Xterra as a member of the Luna Pro Team. Danelle's availability will be Monday & Wednesday 5:30 - 8:30 pm - Danelle will schedule your appointment by video conference call. Copyright 2010-2018 Active Life Physiotherapy Inc. All rights reserved.